Once a thriving town in its glory days, Ioco town site is now nearly a ghost town. The Ioco town site is a heritage conservation area and local historians and former residents continue to ensure that the few remaining historical buildings including the Ioco community hall, school and Groceteria are preserved. In addition to the town site, Ioco also includes a portion of Belcarra Regional Park and the IOCO refinery lands. Much of the remaining land of this neighbourhood is undeveloped. 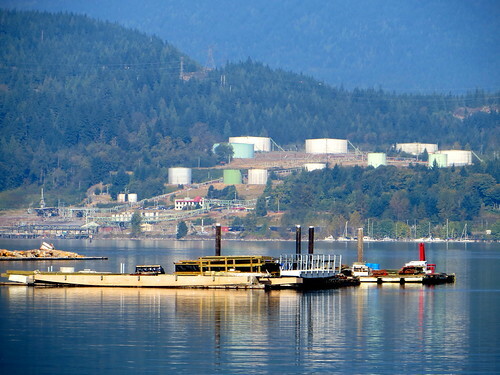 As for the future of this neighbourhood, Imperial Oil (Esso) Ltd. and local architect and urban planner, Michael Geller began feasibility planning studies for about 200 acres of the former IOCO refinery lands on the north side of Port Moody, overlooking the Port Moody harbour. A revitalized Ioco Townsite could become the heart of a new community, but redevelopment will require significant infrastructure and transportation improvements and consider the protection and enhancement of the environmentally sensitive areas. And because Ioco has a rich concentrated heritage conservation area, this character will be another of the considerations for future development in the neighbourhood. Every October the Port Moody Station Museum organizes the Ioco Ghost Town Day at the historic Ioco Townsite. This free, family fun event recaptures the spirit of the past and provides a variety of entertainment and activities for all ages. Col. R.C. Moody (whom Port Moody is named after) and his team of Royal engineers (sappers) built a military supply road (North Road) to connect the colony of Sappertown (now known as Sapperton, a neighbourhood in New Westminster) and Burrard Inlet so his fleet on the Fraser River could have safe winter anchorage on the inlet. One of Col. Moody’s many tasks was to keep the colony safe from American attacks during the Civil War which started in 1861 and a naval reserve was established just east of the present Ioco town site, due to its commanding view of the entire inlet. This site was often used for cannon ball firing practice. Cannon balls have been found in the area and are now housed at the Port Moody Station Museum. Imperial Oil Company Refinery started clearing land in 1912 on the north shore of Burrard Inlet and after installation of the crude oil processing equipment it began operations in 1915. Many workers commuted to the work site via ferry, rowing or water taxi. Others chose not to commute and set up a tent town near the work site that eventually became a more permanent “shack town” as more manpower was required during the construction of the site. By 1917 there were over 200 people living in the community. Imperial Oil eventually purchased additional land and cottages that they had built on their refinery site were moved once the newly purchased land was cleared. Between 1920 and 1924 another 83 homes were built and this became what is now the current Ioco townsite. Later, a grocery store, school, tennis court and other amenities were subsequently developed. The Ioco area was incorporated into the municipality as part of a City boundary expansion in 1988. The refinery itself was officially shut down in 1995 but the name of Ioco continues to be a reminder of the historial significance of Imperial Oil’s contribution to the area. Ioco Townsite is considered a Heritage Conservation Area and a list of heritage properties of Ioco Townsite can be found on the Heritage Register. Belcarra Regional Park – part of Belcarra Regional Park is in Port Moody’s Ioco neighbourhood and includes a variety of recreation options including hiking trails and Sasamat Lake with the popular White Pine Beach where many enjoy swimming and picnicking during the summer months. The nearby neighbourhood of Inlet Centre provides amenities such as grocery, shops, services, restaurants and cafés for Ioco residents.